Eid al-Adha, Ganesh Chaturthi, Pope Francis, and more in the week’s best images (PHOTOS). 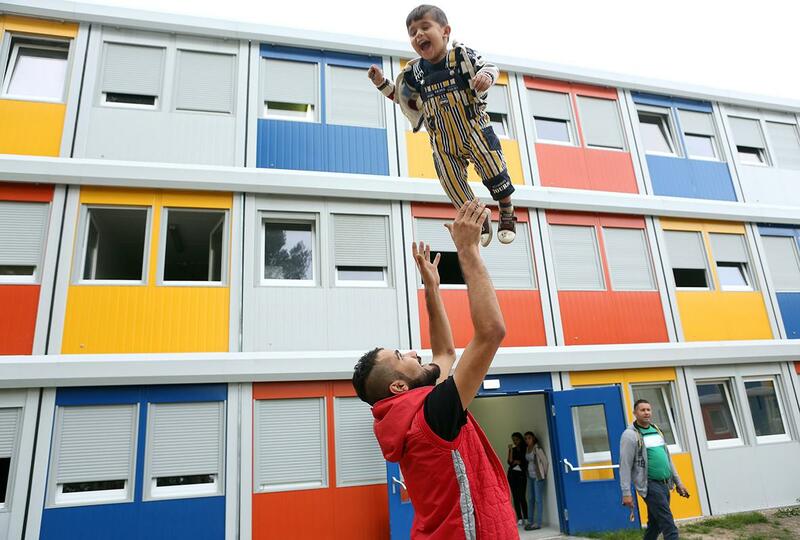 A Kurdish Syrian migrant plays with another Kurdish Syrian refugee, 3-year-old Ivan, at a temporary shelter constructed from shipping containers on Sept. 23, 2015, in Berlin. Almost a half-million refugees have crossed into Europe so far this year. After weeks of deliberations, the European Union decided upon a quota plan to distribute a share of them among EU members in the largest mass-migrant movement on the continent since World War II. 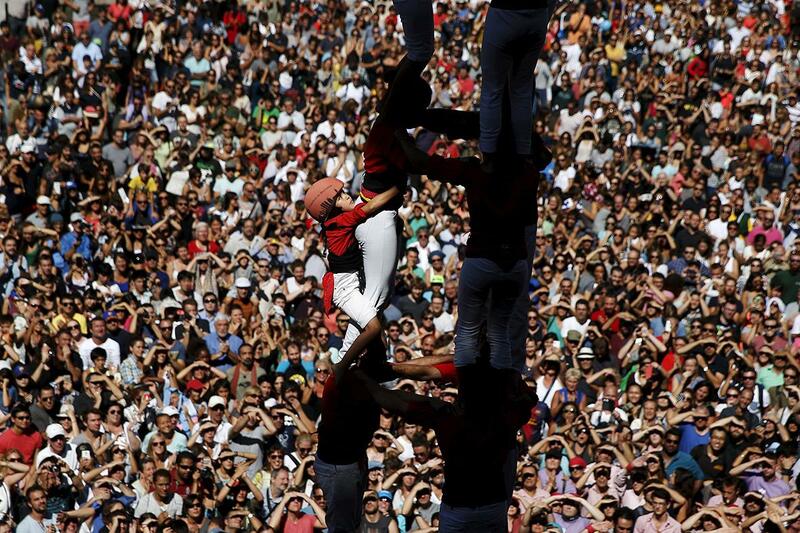 Members of the Castellers de Barcelona form a human tower, or castell, during the festival of the the Virgin of Mercy, the patron saint of Barcelona, at Sant Jaume Square in Barcelona on Sept. 20, 2015. The formation of human towers is a tradition in Catalonia dating back to the 18th century. 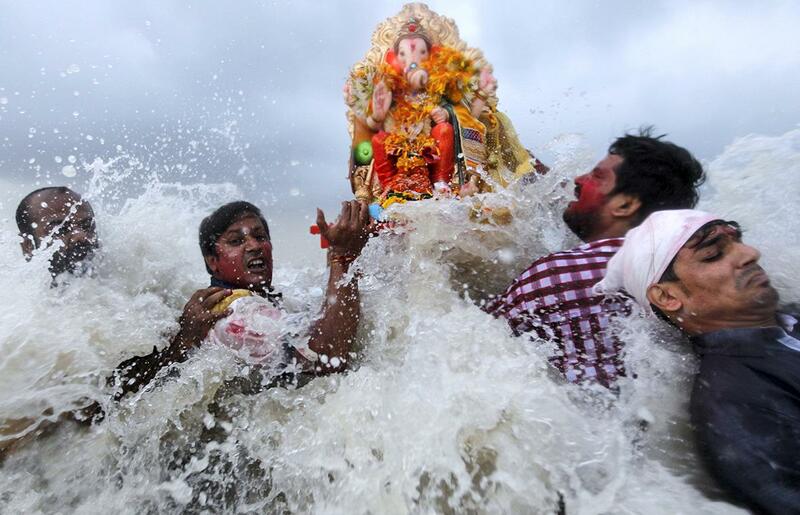 Devotees carry an idol of the Hindu god Ganesh, the deity of prosperity, into the Arabian Sea on the fifth day of the 10-day-long Ganesh Chaturthi festival in Mumbai, India, on Sept. 21, 2015. Ganesh idols are taken through the streets in a procession accompanied by dancing and singing and later immersed in a river or the sea symbolizing a ritual seeing-off of his journey toward his abode, taking away with him the misfortunes of all mankind. 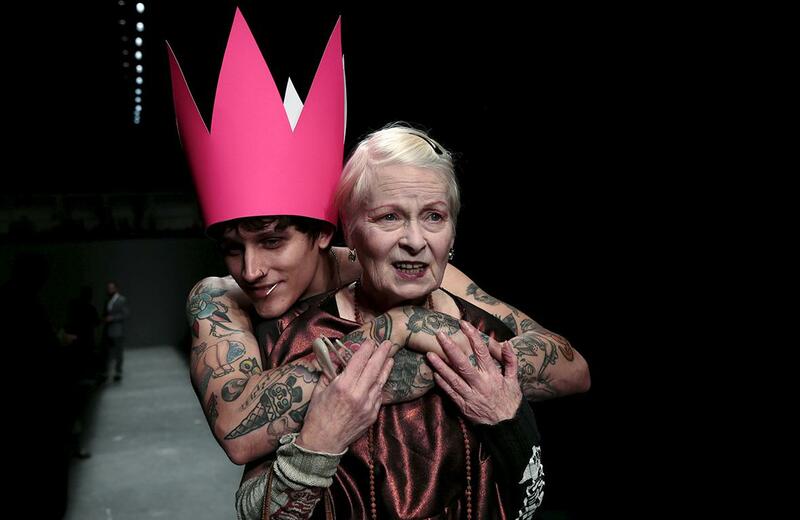 Fashion designer Vivienne Westwood poses with an activist before the presentation of the Vivienne Westwood Red Label Spring/Summer 2016 collection during London Fashion Week in London on Sept. 20, 2015. 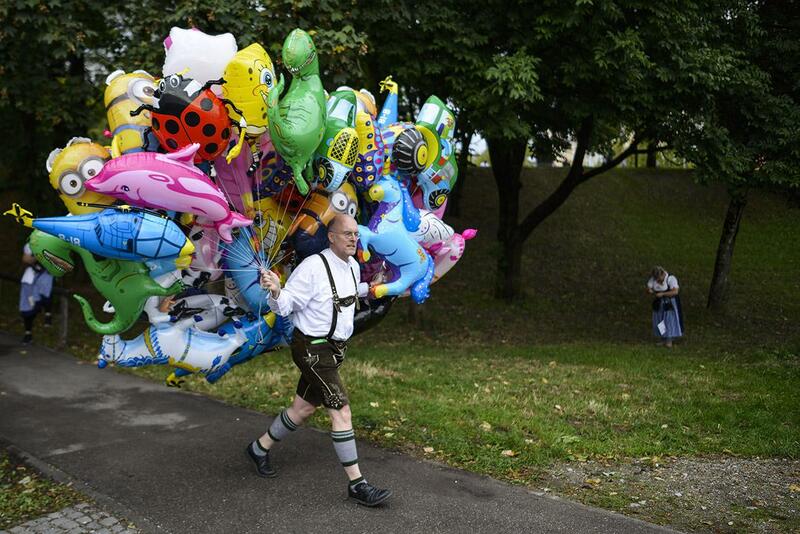 A balloon vendor in Bavarian folk attire carries helium balloons on the opening day of the 2015 Oktoberfest on Sept. 19, 2015 in Munich. The 182nd Oktoberfest will be open to the public through Oct. 4 and will draw millions of visitors from across the globe in the world’s largest beer festival. 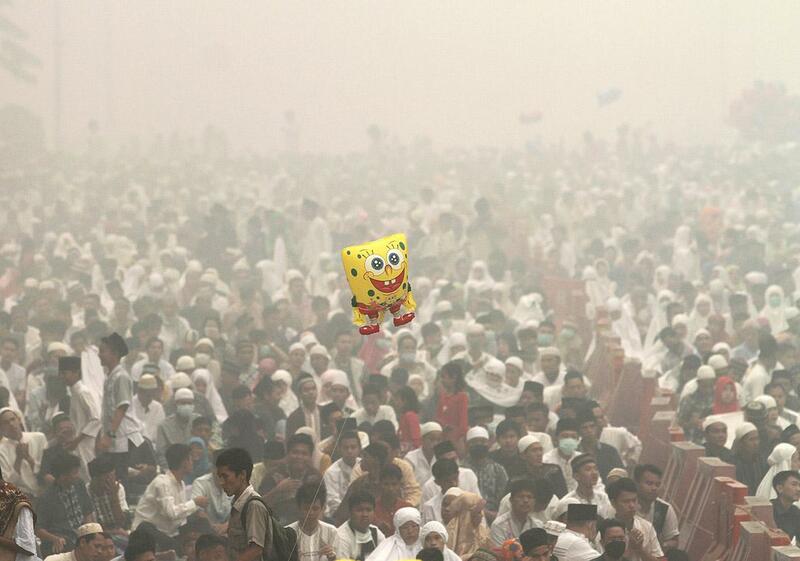 Muslimsattend an Eid al-Adha prayers as haze shrouds at Agung Mosque in Palembang, Indonesia, on Sept. 24, 2015. 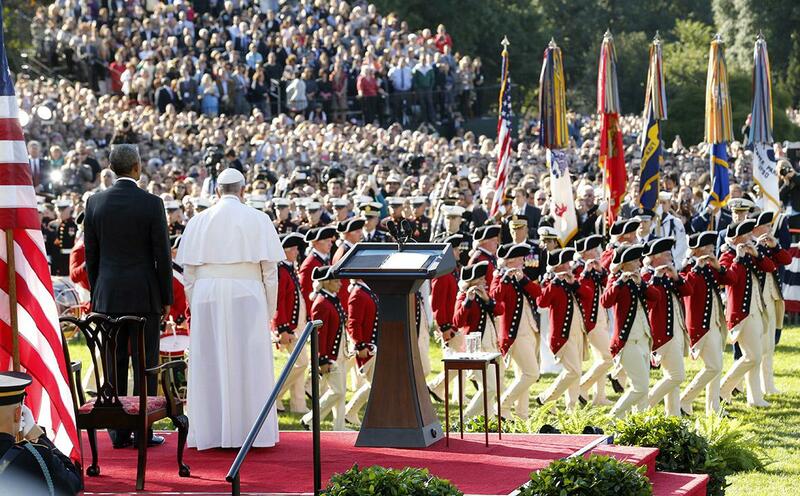 President Barack Obama and Pope Francis watch as the Old Guard fife and drum corps marches during a welcome ceremony on the South Lawn at the White House in Washington on Sept. 23, 2015. 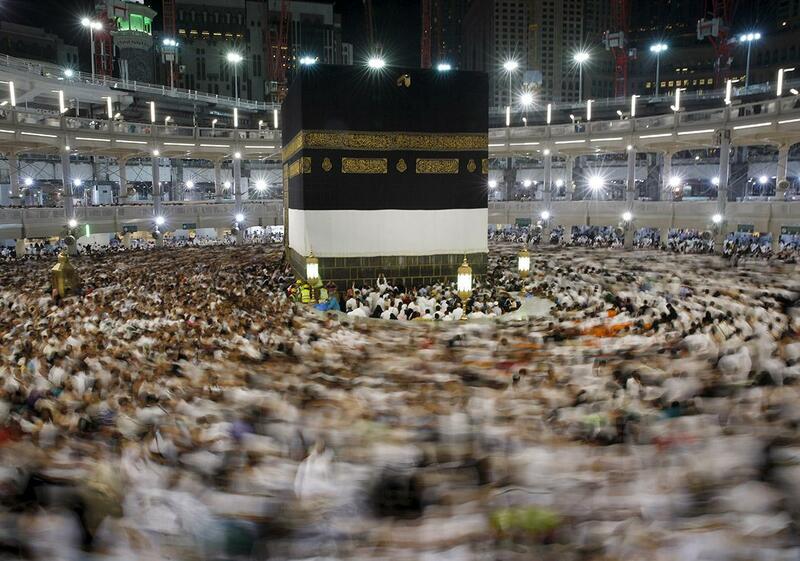 Muslim pilgrims pray around the holy Kaaba at the Grand Mosque ahead of the annual hajj pilgrimage in Mecca, Saudi Arabia, on Sept. 22, 2015. More than 700 people were killed in a stampede only 3 miles east, on roads leading to Jamarat, where pilgrims throw stones at pillars to symbolize the stoning of the devil during the hajj. 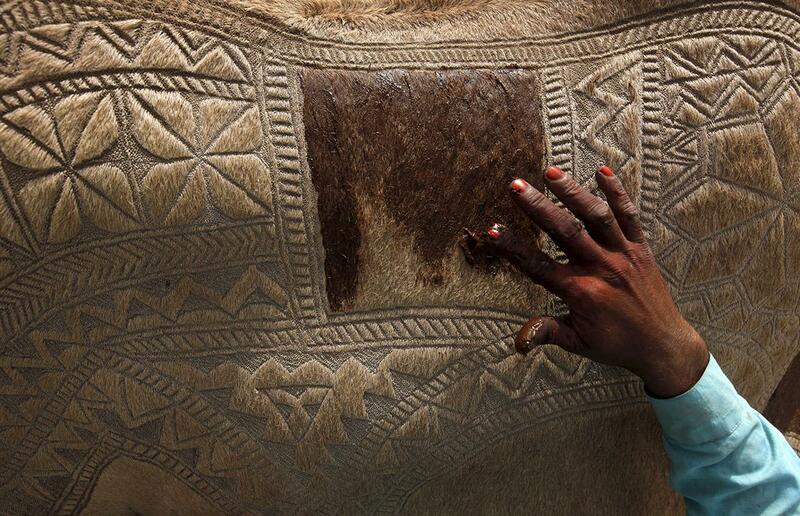 A sacrificial camel is dyed with henna after a haircut produced patterns at the animal market on the outskirts of Karachi, Pakistan, on Sept. 22, 2015. Muslims across the world celebrated the annual festival of Eid al-Adha, or the festival of sacrifice, by slaughtering goats, sheep, cows, and camels in commemoration of the Prophet Abraham’s readiness to sacrifice his son to show obedience to Allah. 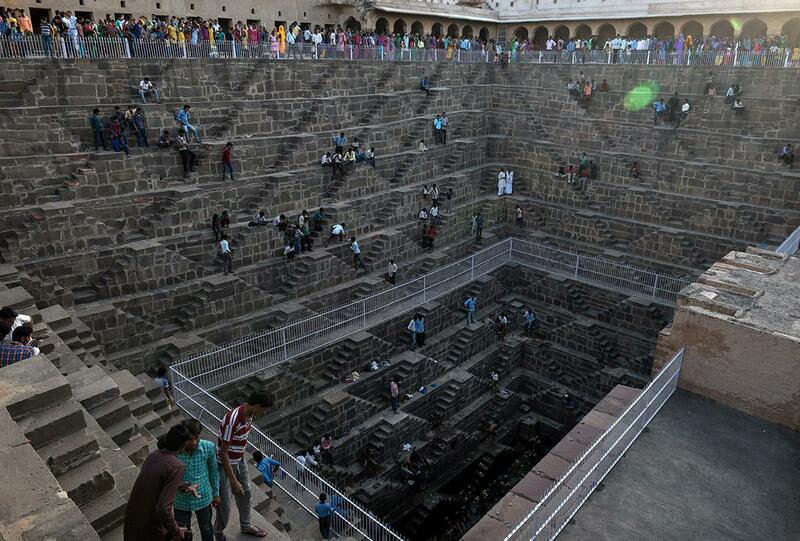 People gather at the historic Chand Baori stepwell in Abhaneri, India, on Sept. 24, 2015. For a few hours on one day each year, local residents are permitted to descend into the 100-foot-deep, 1,200-year-old stepwell, as Hindu devotees in the area mark a local festival, at the same time as Hindus worldwide observe Ganesh Chaturthi festivities. Chand Baori is one of the oldest and largest stepwells in the world, with some 3,500 steps laid out in a geometric design down to the water at its base. 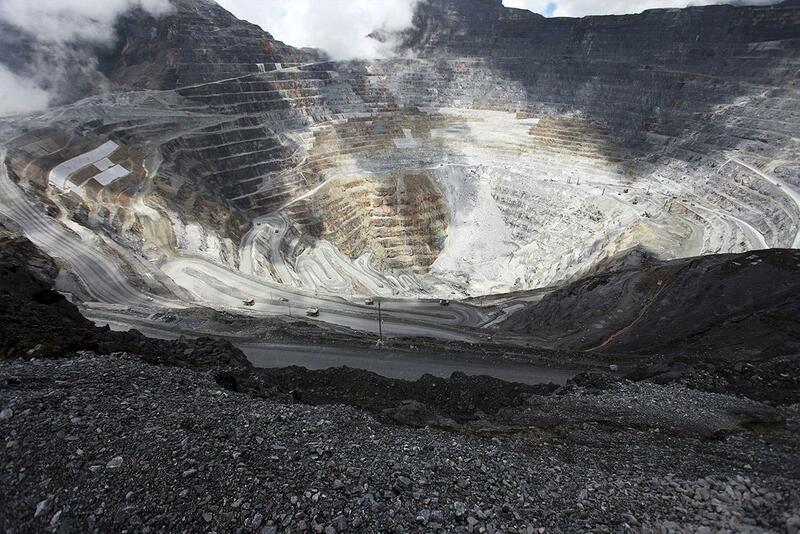 Trucks operate in the open-pit mine of PT Freeport’s Grasberg copper and gold mine complex near Timika, Indonesia, on Sept. 19, 2015. 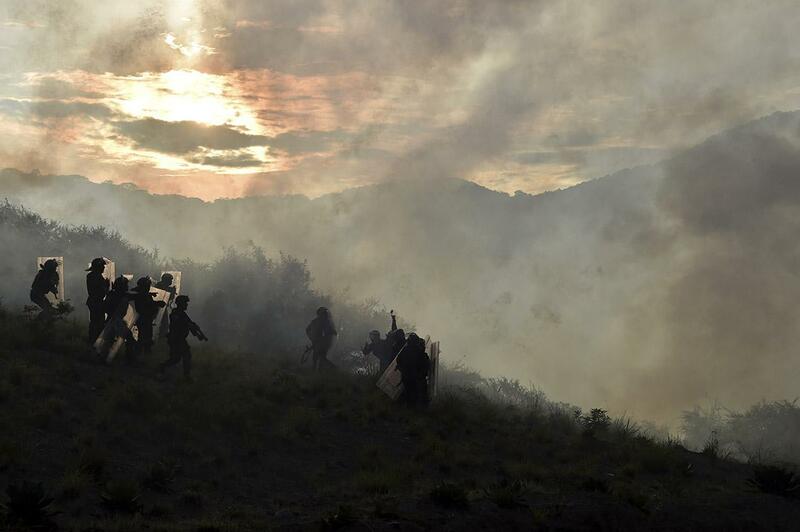 Police clash with student-teachers protesting against the disappearance of 43 students along the Tixtla-Chilpancingo highway in Tixtla, Mexico, on Sept. 22, 2015. The teachers-in-training vanished nearly a year ago; only one has been confirmed dead. 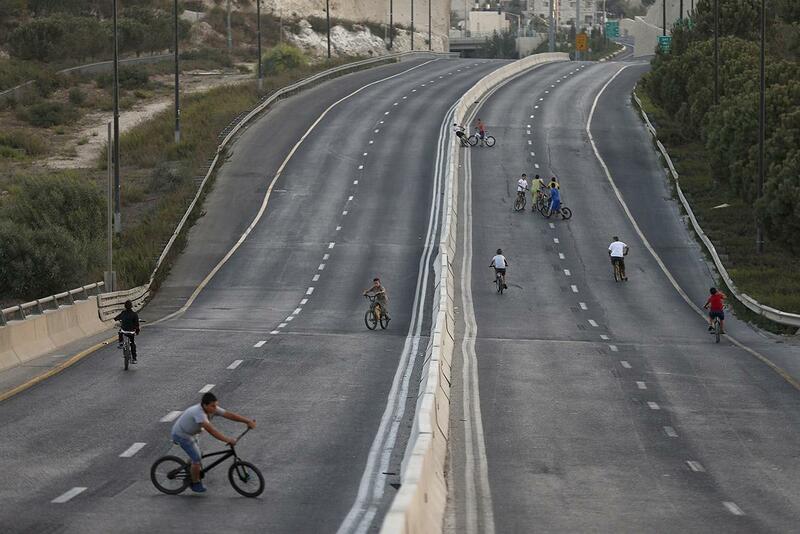 Children ride their bicycles in an empty street in Jerusalem during the Jewish holiday of Yom Kippur on Sept. 23, 2015. Yom Kippur, or the day of atonement, is the holiest of Jewish holidays, when observant Jews atone for the sins of the past year. Traffic is not allowed during the 25-hour-long period. 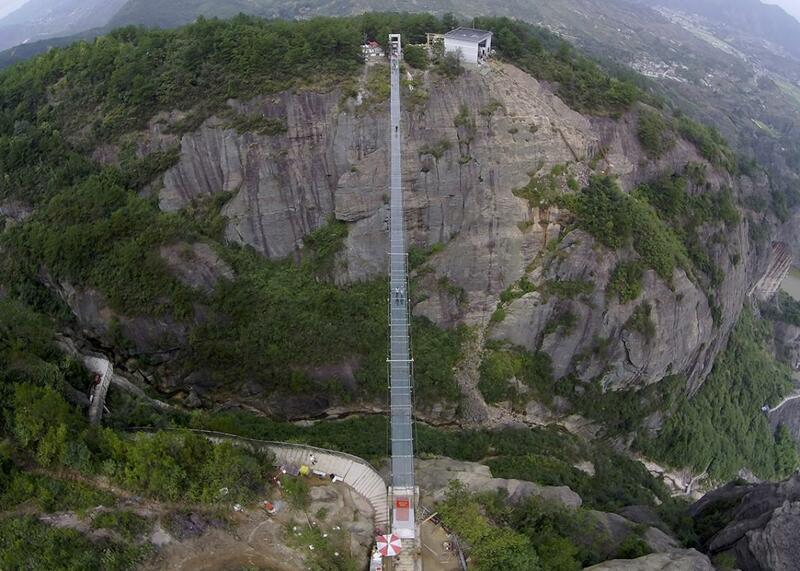 A newly opened glass suspension bridge spans a nearly 600-foot-deep canyon at the Shiniuzhai National Geopark in Pinging county, China, on Sept. 24, 2015. 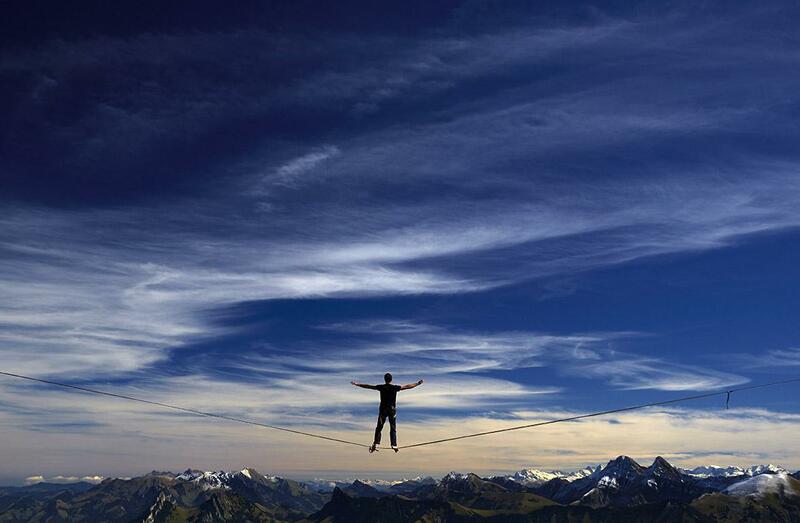 Guillaume Rolland of France stands on a line during the Highline Extreme event in Moleson, Switzerland, on Sept. 25, 2015.